Twitter is a good Social network for all the users, Some people use it for their blogging purposes(sharing there links) and some are using just for entertaining others But Some times we authorize an app on our twitter profile because we need it. It may be we authorize app for increasing our twitter followers,Or may be other application for some other purpose.But at the time of authorizing these applications we give them some permissions that may be annoying for our followers.i.e update your profile, post tweets on your profile(The below picture explains) which may annoying your followers. 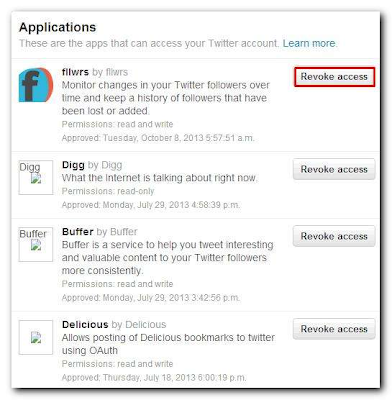 In one of our previous post we discussed that "How To Find/Remove Unwanted Apps On Your Facebook Profile" which explained the process of finding and removing apps from FB profile And now here we going to share a post removing apps from twitter profile. Almost all the third-party apps tweets on your profile daily so it is good to revoke/remove this application from your profile so the app will not be able tweet on your profile. 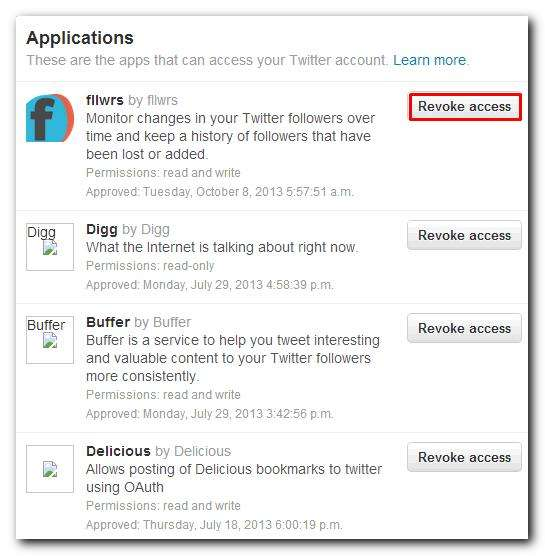 So below are the easy steps which will guide you to find and remove (Un-authorize) unwanted apps from your twitter profile. Step-2: Now you can see all the applications you're using on your twitter profile. Step-3: Now let have a look to the apps permissions, If there's an app for which the permission is "read-only" Don't worry it can't do anything wrong with your profile i.e this app has no permission to tweet. but if permission for an app is "Read and Write" Then this app can tweet something on your twitter profile with your behalf so be careful and it is recommended to remove/revoke this app . Step-4: After you select an application is unwanted and want to un-authorize it, Click the "Revoke Access" Button. 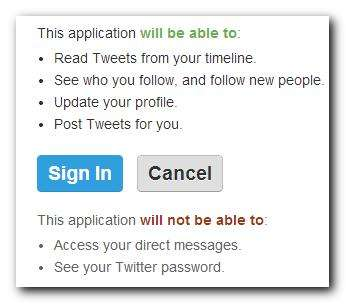 Step-5: Now take rest, you got rid of an unwanted app on your twitter profile. Note: Don't forget to Share this post with your friends on any social network.